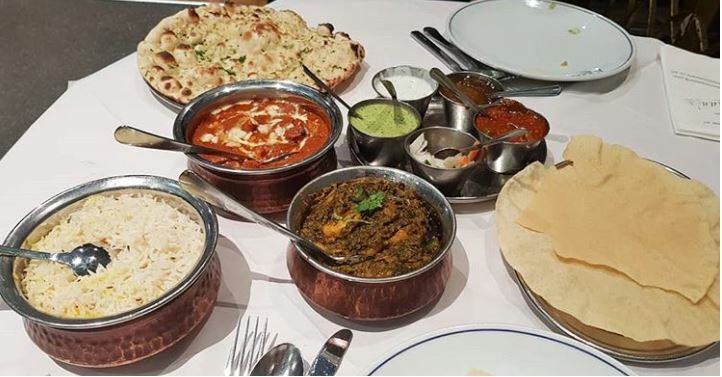 Khan’s has just entered its 40th year in business, and is still one of Europe’s largest and most popular Indian restaurants. Khan’s was founded in 1977 by Mr. M Y Khan and is still to this day run by the same family in London. Keeping all the traditional, quality and standard of this amazing founder. To enter the new Millennium the Khan’s family decided to abolish the sale of alcohol, in accordance with healthy eating & healthy drinking, the adopted philosophy of wholesomeness, well-being and recreating the traditional ambiance – ‘The days of the Raj’. As a result, this has created a more family orientated restaurant for every one to enjoy. The selection of Organic & Halal drinks is vast which includes a selection of Khan’s fruit cocktails all created in-house. Renowned for it’s high standard and quality of food as all ingredients are bought fresh daily, 100% Halal. The menu is extensive with well over 70 main courses to choose from, all using authentic traditional recipes. 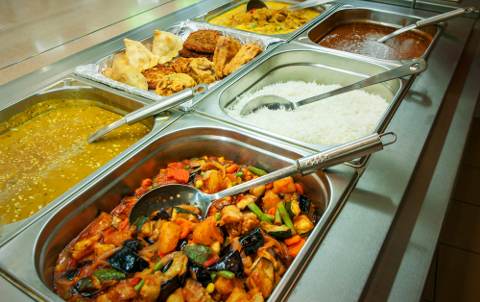 A few house specialties include Fish Curry, Methi Gosht, Chicken Tikka, Butter Chicken, Bombay Aloo and Mutter Paneer. The menu caters for everyone from the Health-conscious to the Vegetarians. Khan’s has also created it’s own children’s menu, whereby, the dishes served are mild, healthy with plenty of flavour. 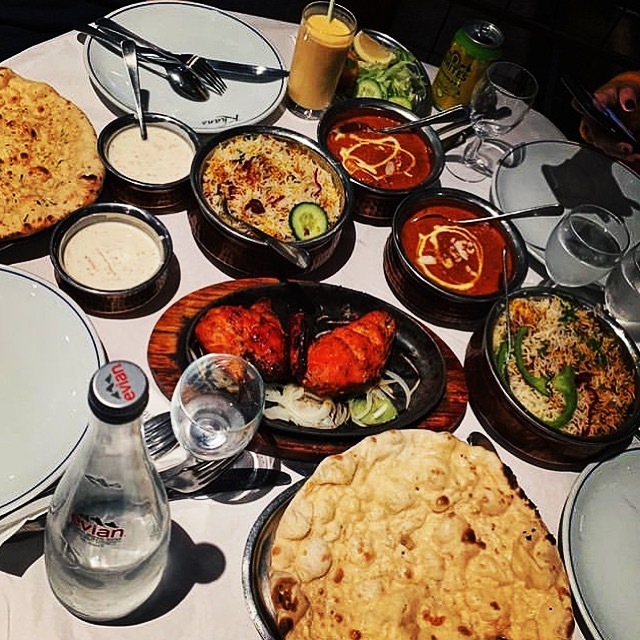 The atmosphere at Khan’s is breath taking; the pace is fast and the service faultless, a unique atmosphere that must be experienced to be appreciated.